Can Your Monmouth County Divorce Lawyer Help You In An Emergency? 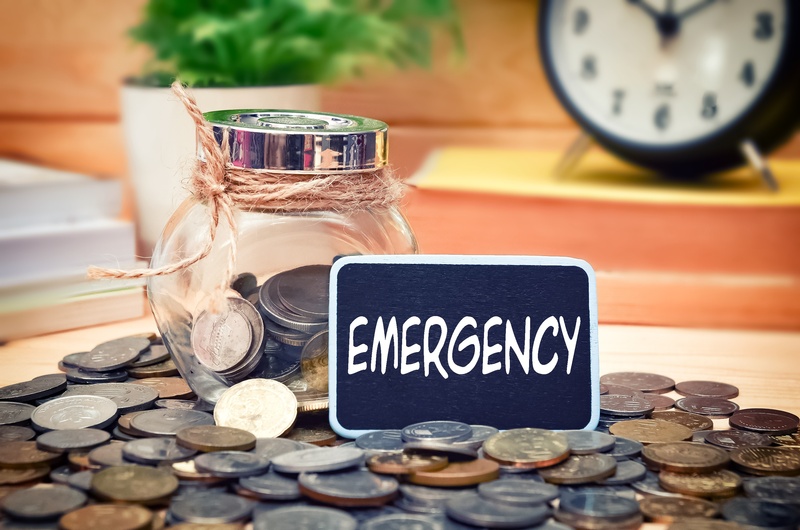 What exactly is an emergency that justifies a Monmouth County Divorce Lawyer bringing an emergent Order to Show Cause in Monmouth County Family Court? That is the true, painful reality. Indeed, in the late 1980s when I started practicing divorce law in Monmouth County, an emergency was anything that was, well, emergent. One spouse denying the other spouse accesss to the children on a major holiday. Boom. Emergency. One spouse denying the other spouse access to the children, period. Bingo. Emergency. One spouse severely restricting the other spouse's access to money. Badaboom. Emergency. This was all based upon the seminal NJ Supreme Court case called Crowe v. DeGioia. Today, however, I find that the judges in Monmouth County are taking a much more restrictive view of just what constitutes an "emergency," and thereby denying Orders to Show Cause that in the 1980's and 1990's were generally heard by the Court as being "emergent." Same precedent (Crowe v. DeGioia), totally different interpretation of what that landmark case means. Granted, when a lawyer declares "EMERGENCY" by filing an Order to Show Cause, it does wreak havoc on the Court System. It is a given that NJ Family Court Judges work really hard. They are overworked. They are extremely busy. So, when a lawyer declares "EMERGENCY" by filing an Order to Show Cause, it really needs to be a serious matter or it is unfair to the judge, the other litigant, and the other attorney, all of whom must drop everything to deal with the alleged "emergency." Unfortunately, in my view, what has happened over the last few decades in Monmouth County and perhaps across New Jersey, is that judges have been taking a much stricter interpretation of what constitutes an "emergency." For example, recently I represented the wife on an Order to Show Cause that was unsuccessful. The husband earns almost $500,000.00 annually working for a very well-known and respected technology company. It is a marriage of long duration, well in excess of 20 years. The husband has always been the "breadwinner." The wife earns next to nothing. The wife obtained a temporary restraining order a few weeks earlier and she asserted that as retaliation, the husband has dramatically cut back on her support and the support of the children. We raised the issue informally with the husband's lawyer and attempted to work it out amicably, but to no avail. Ultimately the wife called our office and said that she literally had no charge card and not a dollar to provide food for herself or the children, or gas in her car. The husband's lawyer refused to budge and refused to have his client contribute anything in addition to the $200.00 that he paid her today and the $200.00 that he paid her two weeks ago. Mind you, this is a man who earned almost a half a million dollars in 2015 and who has not filed tax returns for 2016 yet, so we don't know what his current earnings are (although arguably they must be very close to what he has historically earned). We dropped everything. I prepared emergent papers. I cancelled all appointments in my office for the day so that I could go to Court on this emergency matter. The Court denied our request for under $4,000.00 in emergent funds. The Court ruled that under the existing case law in New Jersey (Crowe v. DeGioia), anything dealing with finances is truly not "emergent" because financial disputes can always be resolved at the end of the case. Interestingly, the Court did not make any findings of fact at all as to how this lady was to supposed to eat. I submit that the fact that she had no money for food was truly an emergency for this woman. I respectfully assert to all of the current judges in NJ who refuse to grant orders to show cause dealing with a failure to pay support based upon Crowe v. DeGioia that they are misreading the landmark case. I understand the Court's reasoning that financial issues can usually be rectified later on during the case and that many financial wrongs can be corrected that way, but I am not aware of any law that says that under no circumstances may the Court ever consider an emergent case when it deals only with money. I am not aware of any case that says that, nor are any of my NJ divorce lawyer colleagues who I've shared frustrating conversations with over the past decade dealing with this subject. Indeed, notwithstanding the common view among many judges today that Crowe v. DeGioia limits their ability to grant emergent financial relief in these types of cases, I assert that they are 100% wrong and that they are entirely misreading this Supreme Court opinion, to the real detriment of people who need and are entitled to immediate help. NJ Family Court judges, for some reason, are interpreting the law in an ultra-strict way -- so, anytime we are dealing with financial issues, judges are automatically viewing them as non-emergent. But what happens in a case like this where the husband earns about a half million dollars a year, the wife files a restraining order against him, and he then retaliates by largely cutting her off financially? She has no credit card. She earns under $2,000.00 a year, generally, and has earned nothing this year. She is on a medically supervised diet, and thus needs to obtain special foods as well. Is that really not an emergency? Indeed, that is similar to what brought Rose Crowe to sue Mr. DiGioia for over 35 years ago. Temporary financial relief. In that case, the trial court granted temporary relief, the Appellate Division reversed the trial court, but ultimately the Supreme Court reversed the Appellate Division and affirmed the trial court's decision to give this poor lady some much needed financial relief immediately, not to make her wait months or longer to receive basic financial support. In my recent stab at helping a client get immediate financial support, I argued to the Court that we were asking for just under $4,000.00, and that, theoretically speaking, if somehow at the end the case the Court concluded that it made a mistake when it ordered this relatively low emergency financial relief today, that there would be more than enough funds available to distribute between the parties to make the husband whole -- to correct the situation. I also argued that, if at the end of the case the Court decided that we should not have filed this emergency application, there are enough assets in this case that the wife would be able to repay the husband's counsel fees for his need to participate today. The judge in this particular case is a good, hardworking, smart, caring, kind judge. He's a really good guy. Yet none of what was happening to this woman moved the judge enough to get him to see beyond his misunderstanding of Crowe vs. De Goia, and rather than using his broad equitable powers to do justice, the judge apparently felt obligated to deny our application for basic temporary support.